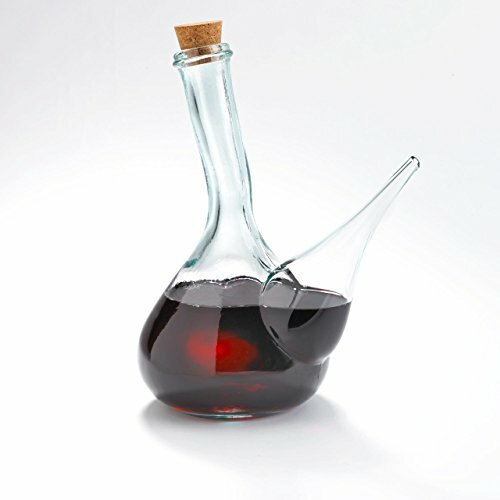 The porron wine pitcher is a festive way to serve wine or sangria. Just pick up the porron and tilt it so that a thin stream of wine pours directly into your mouth. It takes some skill, but it is fun at a party to see how well you and your friends master the technique. Each porron holds 3/4 liter, well over a bottle of wine. Porrones are famous throughout Spain although probably the design originated in Catalunia in place of wine-skins. They were originally made from ceramic, but now are fashioned from hand-blown recycled glass. View More In Carafes & Pitchers. If you have any questions about this product by La Tienda, contact us by completing and submitting the form below. If you are looking for a specif part number, please include it with your message.